She had dreamt of being a writer as a child, but later took up math with her elder brother’s encouragement, going on to make seminal contributions to algebraic geometry. Maryam Mirzakhani, the world’s first woman as well as the first Iranian to win the Fields Medal, one of the most prestigious prizes for mathematical research, passed away on July 15 after a four-year battle with breast cancer. She was only 40. News of her death on Saturday was confirmed by her relatives. Mirzakhani is survived by her husband Jan Vondrák, a theoretical computer scientist, and their daughter. Mirzakhani had been teaching mathematics at Stanford University. Before that, between 2004 and 2008, she had been a research fellow at the Clay Mathematics Institute, Peterborough (North Hampshire), and an assistant professor of mathematics at Princeton University, New Jersey. Mirzakhani had been awarded the Fields Medal in 2014 alongside Artur Avila, Manjul Bhargava and Martin Hairer. The citation for her medal singled out her work in “the dynamics and geometry of Riemann surfaces and their moduli spaces”. She was born in Tehran, Iran’s capital, in 1977. In a 2008 interview, she said that she had dreamt of being a writer as a child, but later took up math with her elder brother’s encouragement. She won the gold at the International Mathematical Olympiad twice, in 1994 and 1995, and went on to complete a bachelor of science in mathematics from the city’s Sharif University of Technology in 1999. Five years later, she had completed her PhD at Harvard University under the guidance of another Fields Medallist, Curtis McMullen. Apart from the Fields Medal, Mirzakahani has also been awarded the Blumenthal Award (2009) and the Clay Research Award (2014). She also became the first Iranian woman to have been elected to the US National Academy of Sciences, in 2016. When she won the Ruth Lyttle Satter Prize in 2013, she thanked her “great teachers in Iran”, both at Tehran Farzanegan, a government-run school for “exceptionally talented girls”, and at Sharif University. 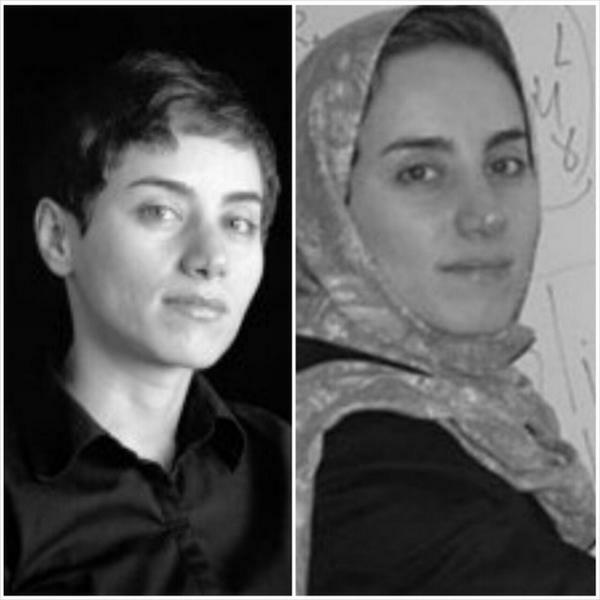 When news broke that Mirzakhani had won the Fields Medal in August 2014, the local Iranian media and population was divided. President Hassan Rouhani had tweeted a picture of Mirzakhani’s without the hijab. While hardliners protested the image and refused to celebrate Mirzakhani’s achievement, others commended Rouhani for his progressive stance. The occasion also forced the country to reckon with its brain-drain, often the result of the limited rights that women enjoy under the Islamic Penal Code.